Books have been written, stories have been told and lies have been concocted in an effort to identify the perfect North American big game cartridge. Many believe it's the cartridge they've chosen, others think specific cartridges must be matched to specific animals, and some claim perfection does not exist. When it comes to rifle cartridges, perfection may not exist but we should still be able to make a faultless choice given the vast options we have. An 8-inch kill zone is a reasonable average for North American big game animals. From a trajectory standpoint, our cartridge should allow you to hold in the center of this kill zone out to 300 yards and still hit it, even in a moderate cross wind. Given reasonable shot angles, for a bullet to pass through the vitals of all North American big game animals, from pronghorn to moose, it should be capable of penetrating 18 to 20 inches in 10 percent ordnance gelatin. To maximize tissue destruction the bullet should also expand between 1.5 and 2 times its original diameter. How hard a rifle kicks is subjective and somewhat dependent on rifle design. That said, most hunters find that a rifle/cartridge combination producing a free recoil energy of more than 25 to 30 pounds is uncomfortable to shoot. Long cartridges increase rifle length and weight. Fat cartridges diminish magazine capacity. Long and fat cartridges do both. And some magnum cartridges need long barrels to really be magnums. What's ideal? Eight pounds is a good target weight for a field ready rifle and 40 inches or less is a reasonable length. You must shoot once and a coup de grace might be needed. You also might miss, so you need at least three shots. And, since you never want an empty rifle, capacity must be four or more. Is there a cartridge that fits these specifications? The first that comes to mind is the .308 Winchester. It will work splendidly on whitetails — I've done that — and its sufficient for moose — I've done that, too. It's compact and allows for a properly sized rifle with an ample magazine capacity. With good bullets, 20 inches of penetration is easily obtained, even with 2x bullet expansion. When properly zeroed it will allow you to hold dead on out to just the other side of 300 yards. And, in an 8-pound rifle it will generate less than 20 ft./lbs. of free recoil energy. But what about the big, mean and nasty brown colored bears you say? We're talking about hunting cartridges, not charge stopping, dangerous game cartridges. If your plan is to shoot a charging grizzly at 20 paces you do not merely need the perfect North American big game cartridge, you need a specialized, dangerous game cartridge and rifle setup. If you hope to hunt and then shoot a big bear at a reasonable distance, the .308 will kill him just like it will kill an elk. But what about shooting at really long range you ask? Look, if you want to shoot big game animals out beyond a quarter of a mile with regularity and success, again you'll need a specialized rifle and cartridge. This would not be a rifle to tote into the timber with the hopes of jumping a whitetail buck. What we're talking about is the perfect, general-purpose cartridge/rifle combination, a single solution for all your North American hunting needs. One of the greatest firearms experts and teachers conceived this combination as early as 1966. Col. Jeff Cooper originated the scout rifle concept just for this purpose, citing it sufficient for animals weighing up to 1,000 pounds. For this rifle he selected the .308 Winchester cartridge. You might opine the .308 not adequate for hunting all of North America and you have a right to your opinion. I do not share it. I've seen the .308 employed with sensational success in North America and Africa on animals large and small. We really don't need a modern treatise on this subject to discover the truth. Long before Cooper, in his 1927 book, Wilderness Hunting and Wildcraft, Townsend Whelen wrote that the best big game cartridges were the "&apos;¦6.5 mm Mannlicher, .270 Winchester, 7mm Mauser and .30-06 U.S. Government." Practically speaking, these four cartridges are ballistically identical to the more compact .308 Winchester, which was not invented until 1952. Yes, there are even more modern cartridges and they offer similar or improved ballistics. But none of these more modern cartridges make big game animals harder to kill. 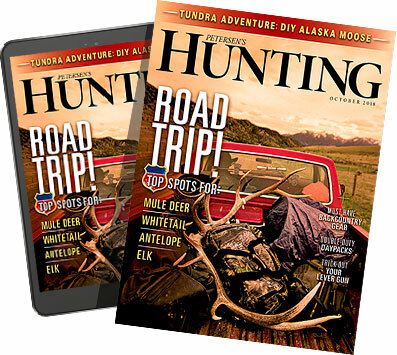 Hunters seem to have figured all this out the same way Whelen did — through field experience, though without stopping power formulas and gun writer drivel. According to a leading ammunition company, last year the most popular big game cartridge sold in North America was the .308 Winchester. However, we've left out a very important element of big game cartridge anatomy. Many hunters develop an unbreakable and sometimes unreasonable bond with certain cartridges. That relationship can be very important to the overall enjoyment of the hunt and without enjoyment, hunting is just hard grocery shopping. Your perfect North American big game cartridge will and should be one you like. For that reason cartridge anatomy arguments will continue as long as there are campfires. Which cartridge gets your vote as the perfect North American big game round?